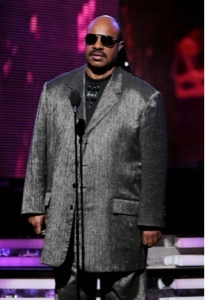 Legendary singer Stevie Wonder will be honored as 2012's Billboard Icon Awardee. The award will be presented during the 2012 Billboard Music Awards on May 20. Stevie Wonder started his career in 1963 when he was only thirteen with the chart hit "Fingertips (Pt. 2)." For almost fifty-years of his music career, Wonder has 32 No. 1 singles and released iconic albums like "Songs in the Key of Life," "Talking Book" and "Music of My Mind." The 2012 Billboard Music Awards airs live on ABC at 8 PM ET with hosts Julie Bowen and Ty Burrell of the hit comedy "Modern Family."